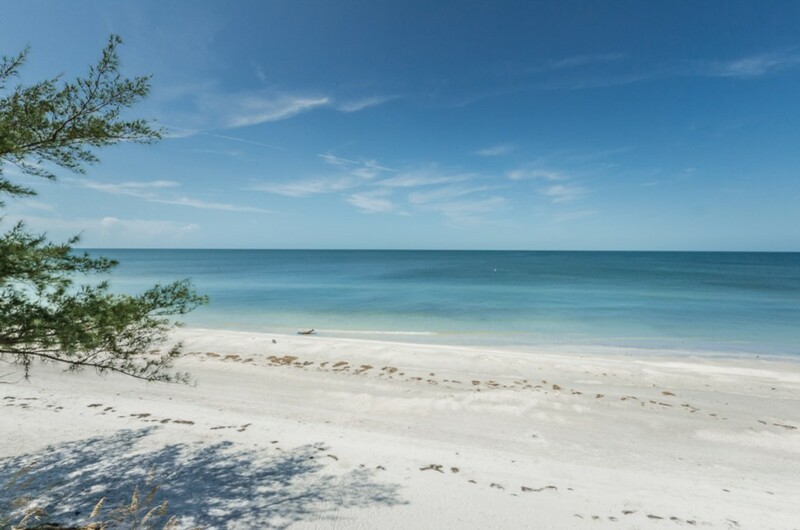 This beachfront luxury home is located in the beautiful community of Treasure Island, Florida. 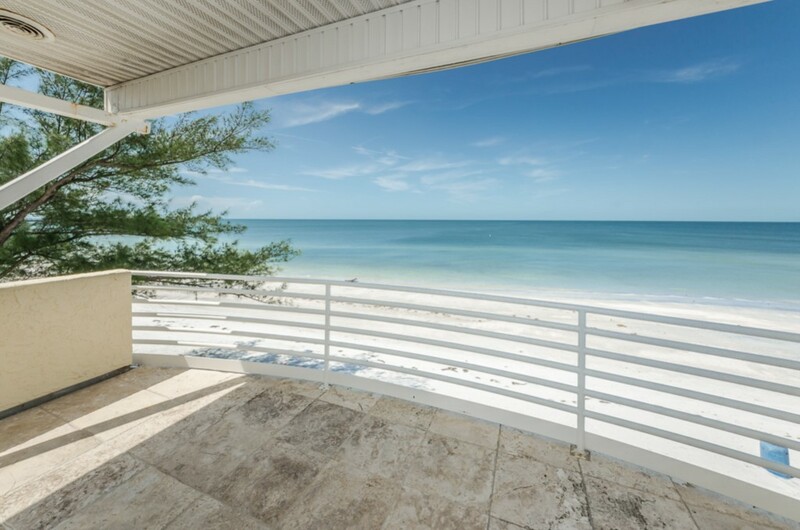 Featuring 4 bedrooms, 3 full bathrooms and 2 half bathrooms; this gulf-front home is complete with all modern furnishings and décor, providing a new-age take on beach-front coastal luxury. 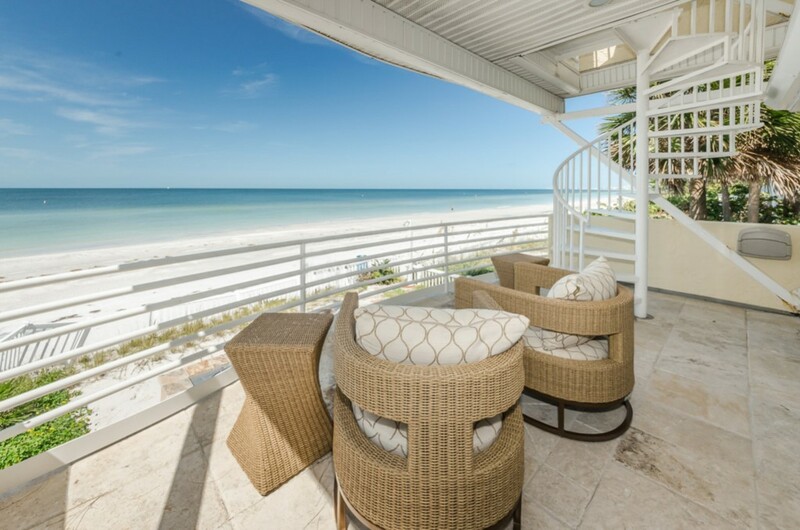 Enjoy endless gulf views, a private hot tub, and high end, comfortable furniture throughout. 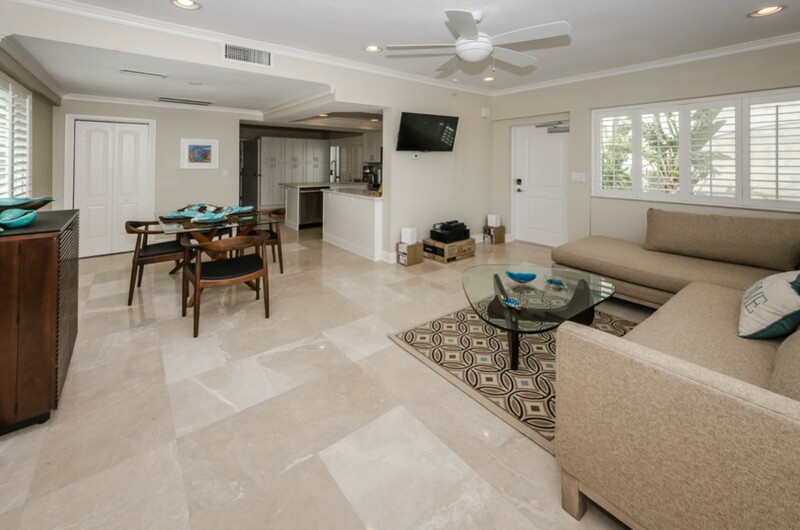 Our Sun Kissed beach home offers 4 bedrooms, 3 full bathrooms and 2 half baths to comfortably accommodate up to 12 guests. 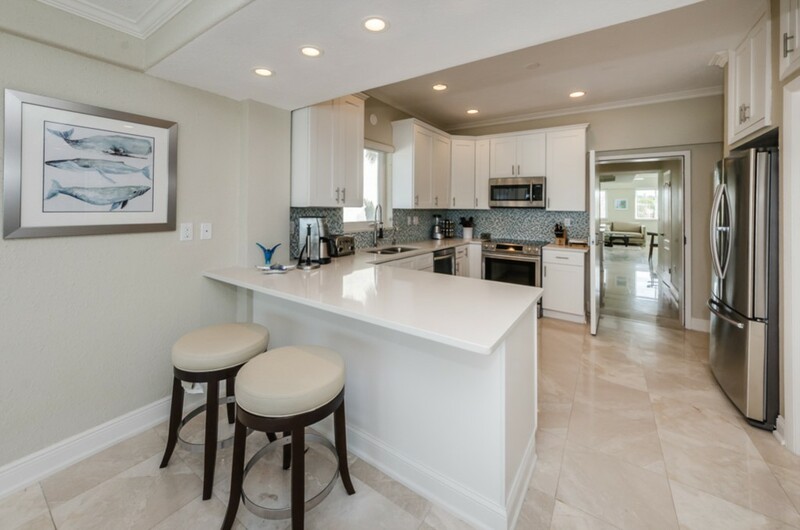 The entire interior has been wonderfully updated with elegant coastal contemporary themes. 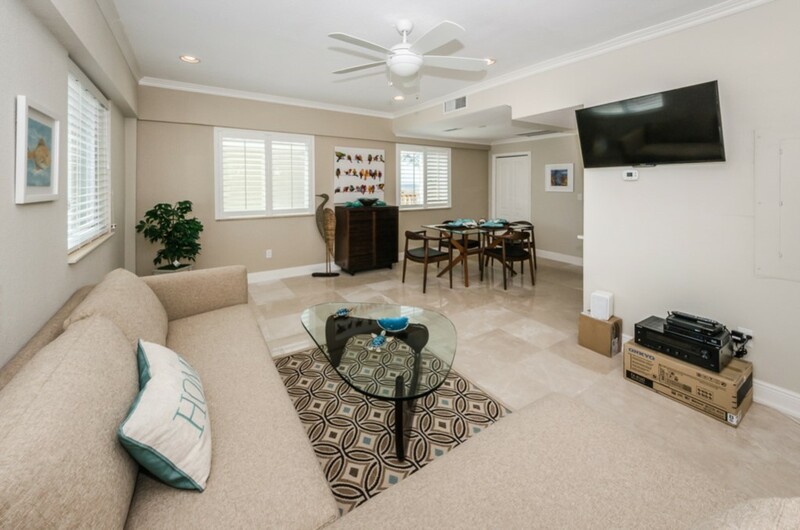 You'll love the gorgeous furniture and décor. 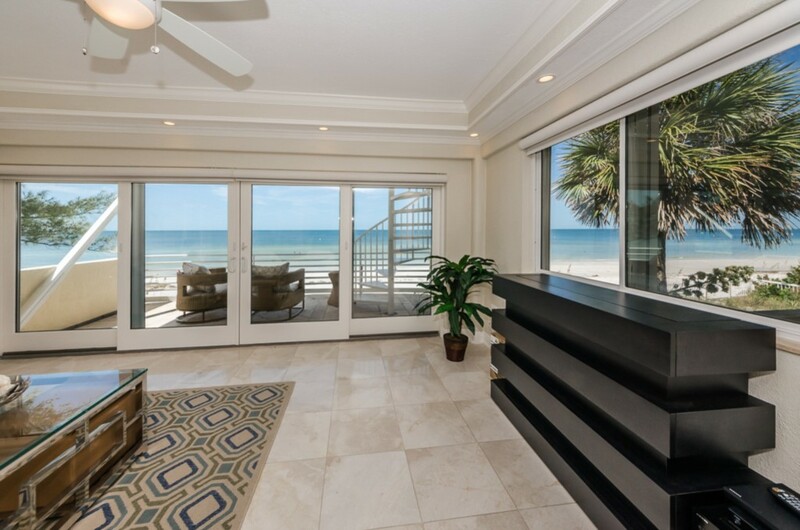 This stunning 3 story home is one of a kind, featuring 3,806 sq ft of beachfront living. 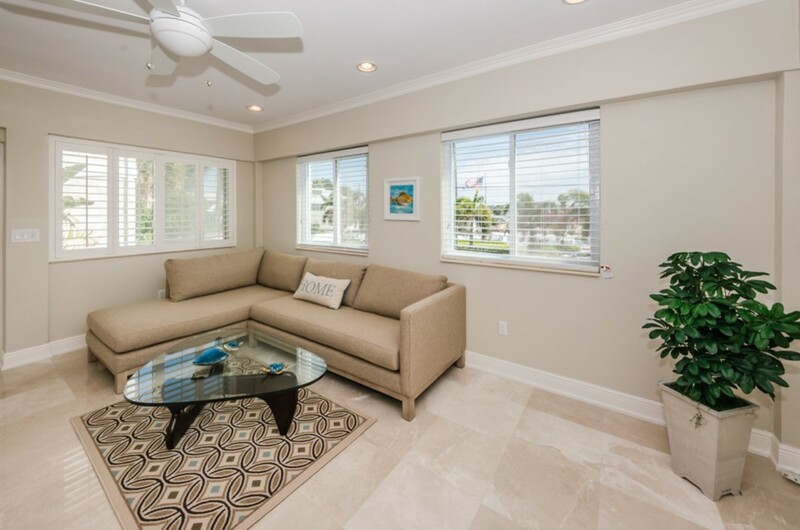 The current floor plan is divided into 2 separate living spaces, but can easily be combined into one. 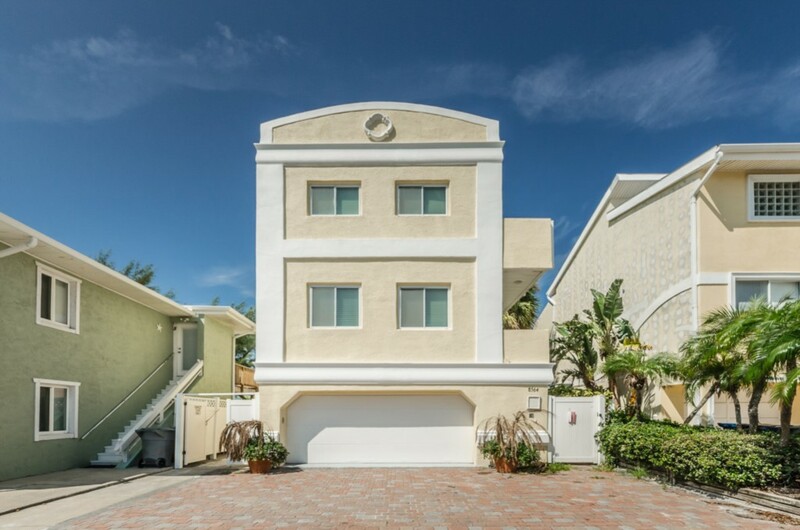 First floor features the garage, which is locked for owners space but there is plenty of parking on the driveway. 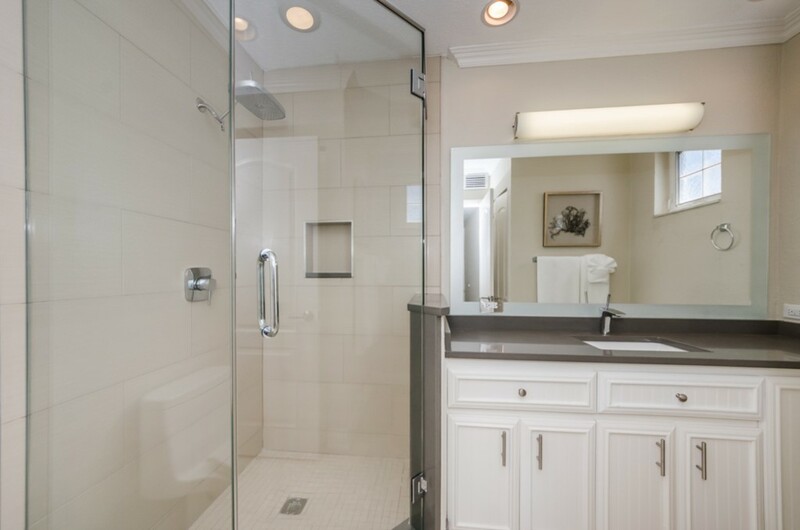 On the second-floor guests will find two entrances into the home – one for each residence. 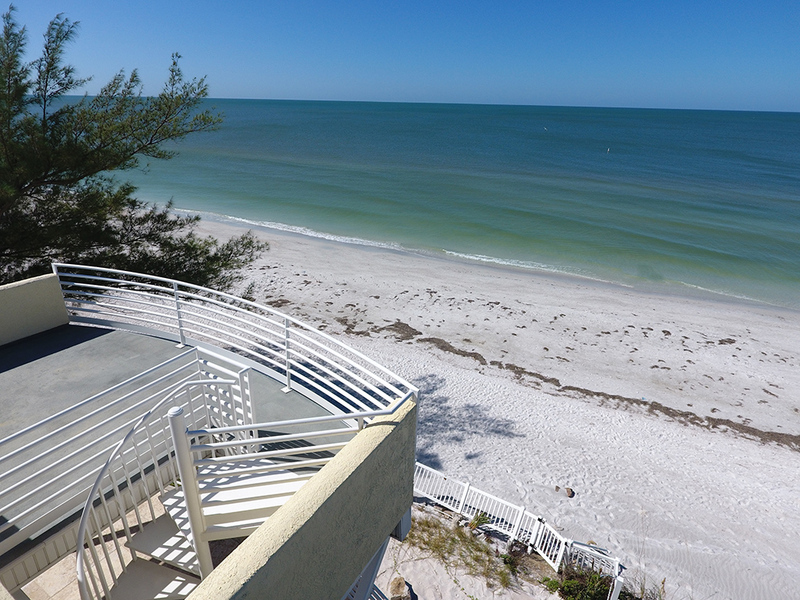 There is a gulf front residence and a guest residence. 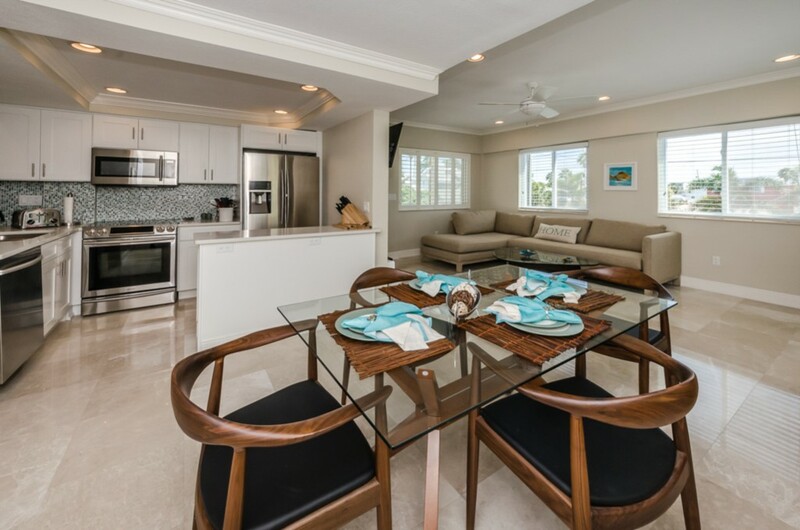 The residences have the same floor plan, on the second level we offer two living areas, two dining areas and two fully equipped kitchens. 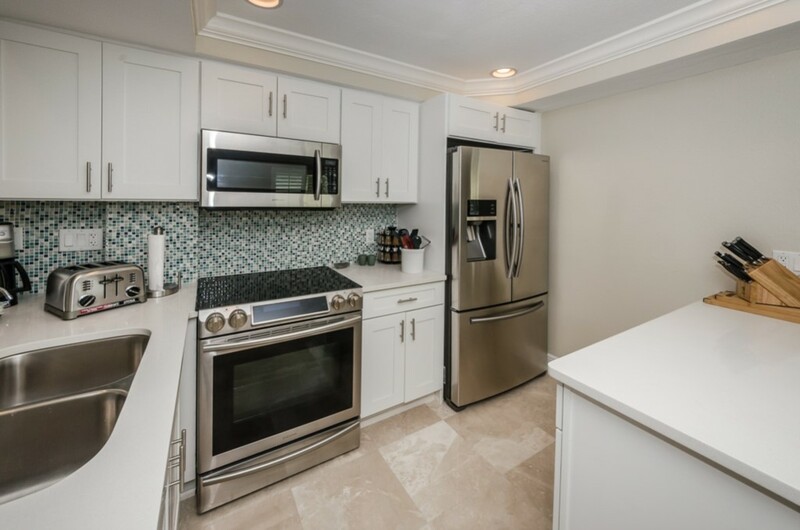 You can access either residence (or connect the units) through a door in the kitchens. 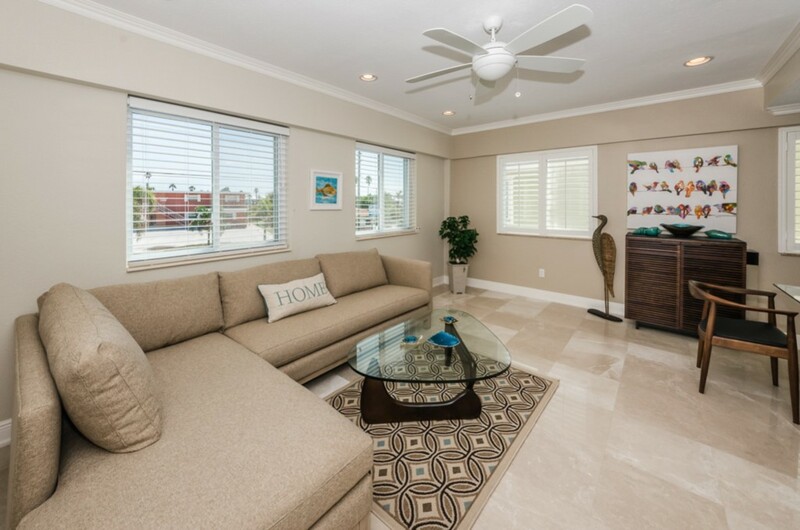 Living areas feature décor in soft colors, ample seating, elegant and comfortable furnishing as well as a flat screen TV. 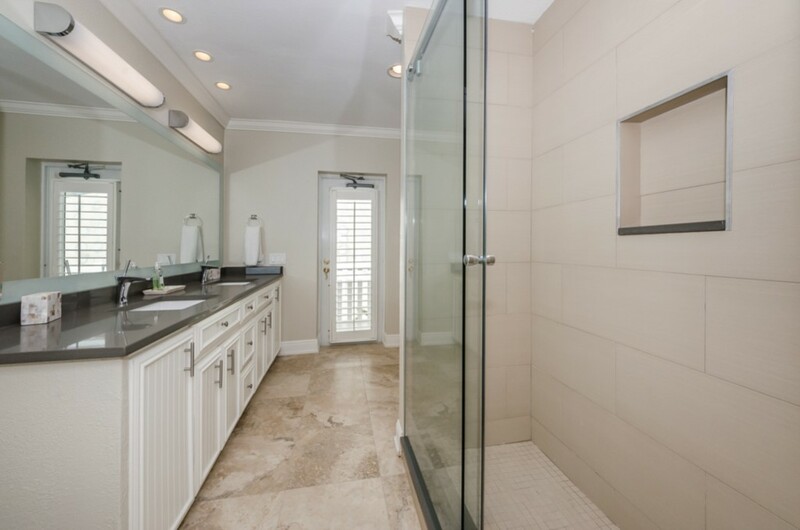 The luxurious interior finishes in the home include travertine floors, crown molding, designer cabinetry, hurricane shutters and a custom wet bar w/wine chiller. 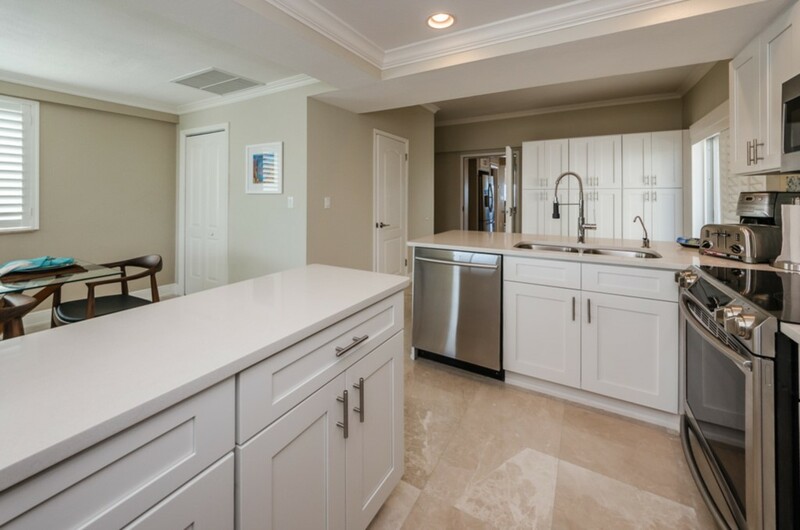 The Dining area in the guest residence has seating for 4, while seating for 2 additional guests is available at the barstools along each kitchen counter. 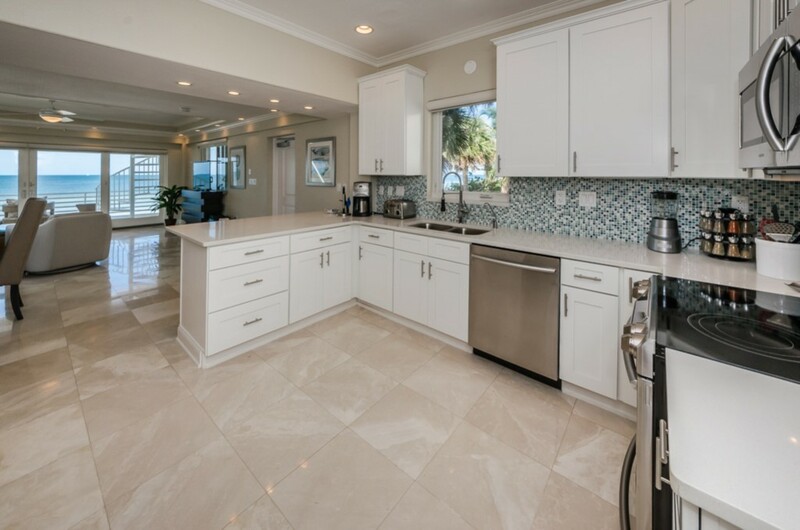 The Dining area in the gulf front residence has seating for 6, while seating for 2 additional guests is available at the barstools along each kitchen counter. 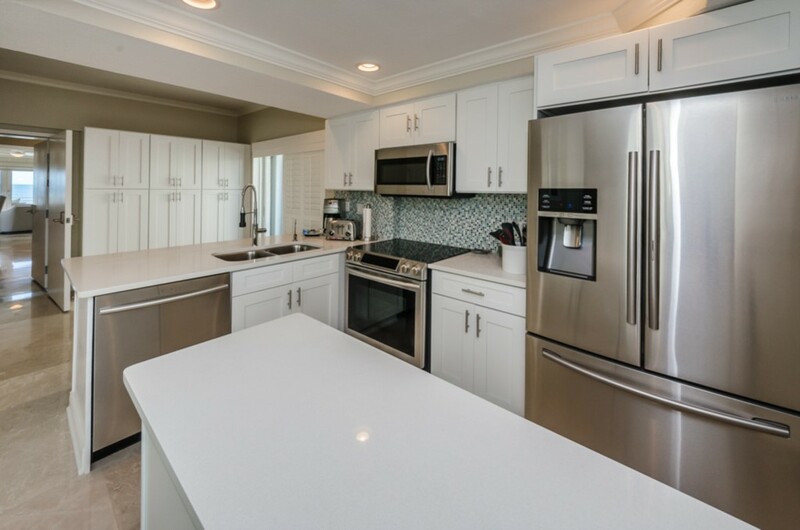 Each kitchen boasts granite counters, custom cabinetry and top-of-the-line stainless steel appliances and it has everything you may need to cook up a great meal. 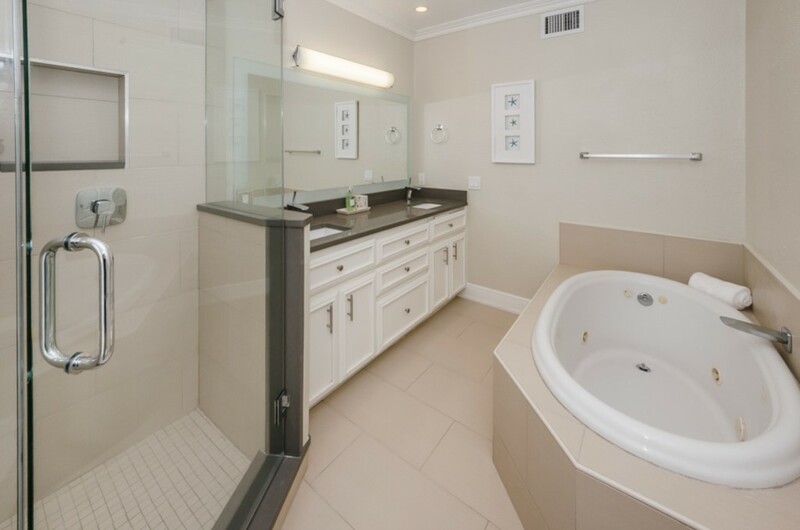 Each residence has a half bath on the second level. 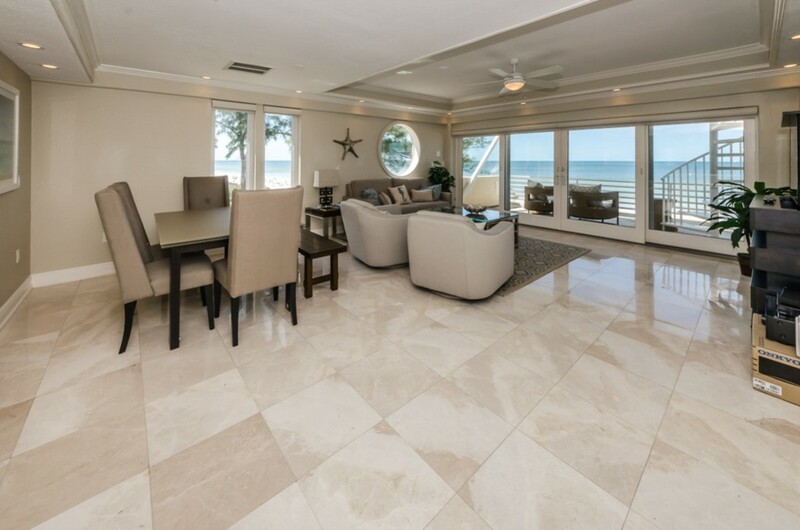 The Gulf Front residence has amazing waterfront views from the dining and living area through expansive windows. 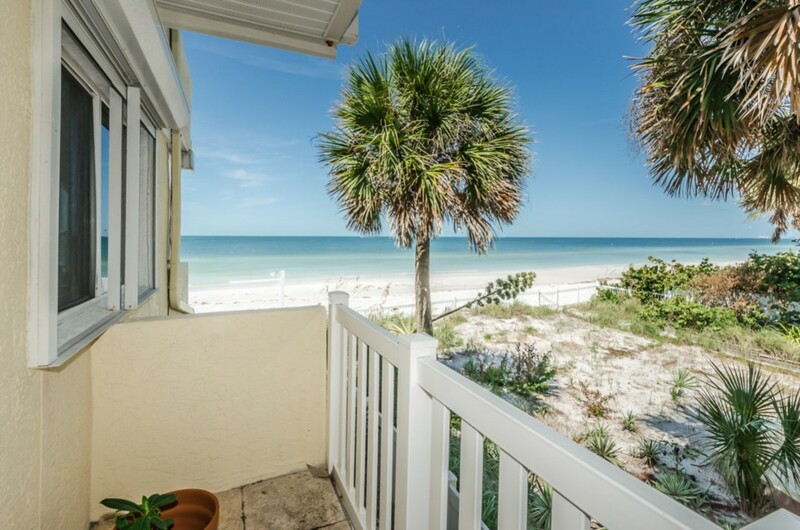 This unit also features a gulf front balcony where you can relax in the morning with your coffee then watch the sunsets in the evening while gilling your fresh catch of fish. 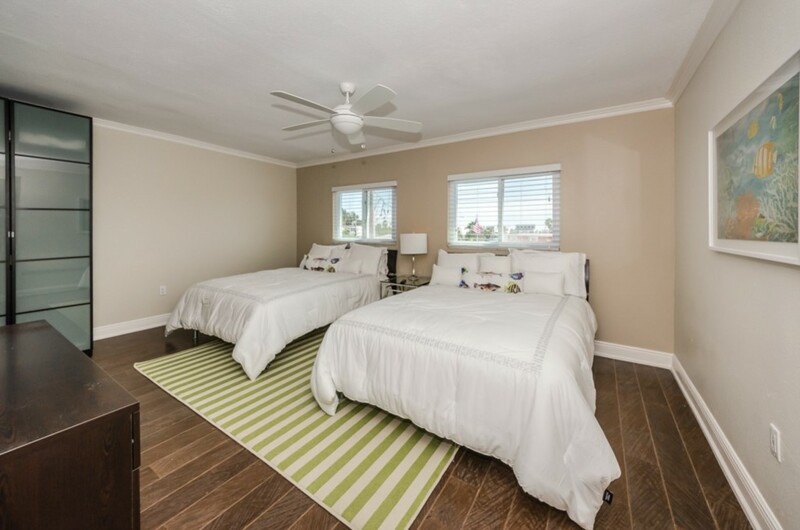 The third floor includes all the bedrooms. 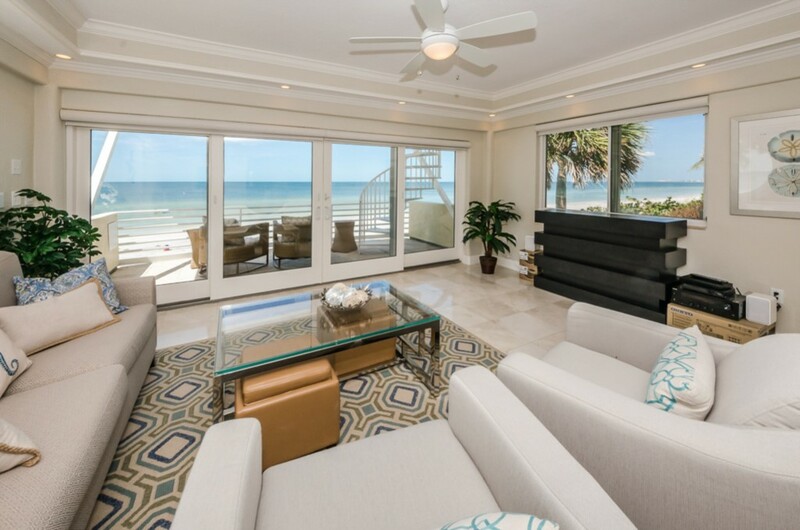 (there is no access between both units from the third level – only the second level) The Gulf front residence features a stunning oceanfront master suite with a King size bed, dual closets, beverage/entertainment center and the master bath with jetted spa tub & an impressive covered balcony overlooking the Gulf. 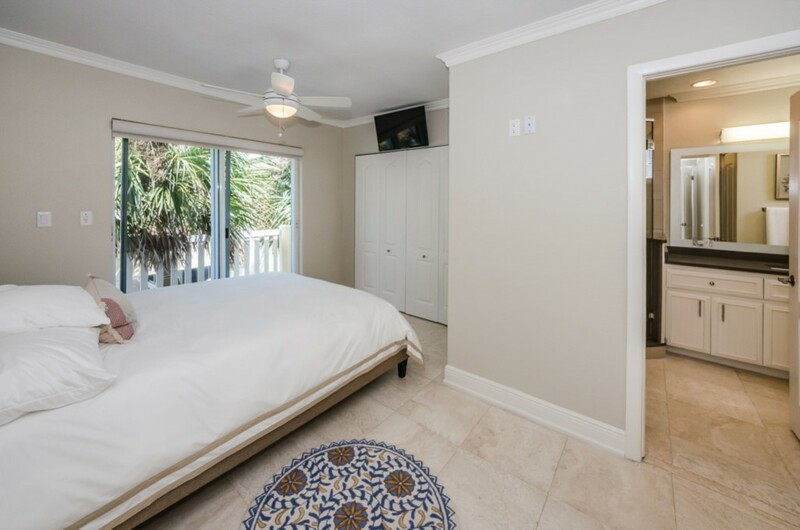 The second bedroom suite in the gulf front residence features a Queen size bed and a private bath with a shower. 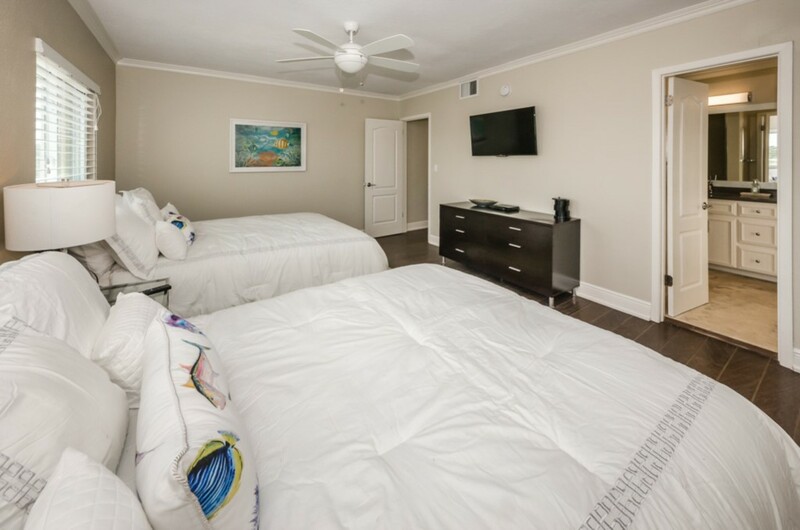 The third bedroom located in the guest residence features a Queen size bed and it shares a full bathroom with the fourth bedroom featuring two Queen size beds. 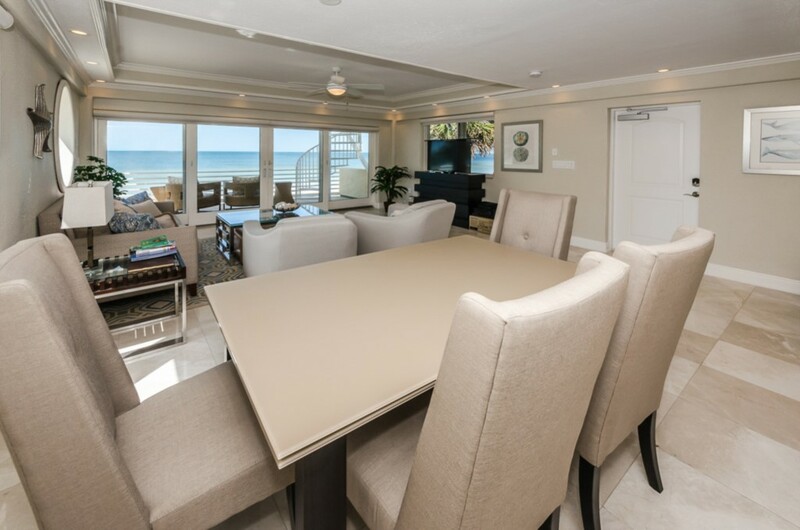 The living area in the gulf front residence has a pull out couch to accommodate a total of 12 guests. 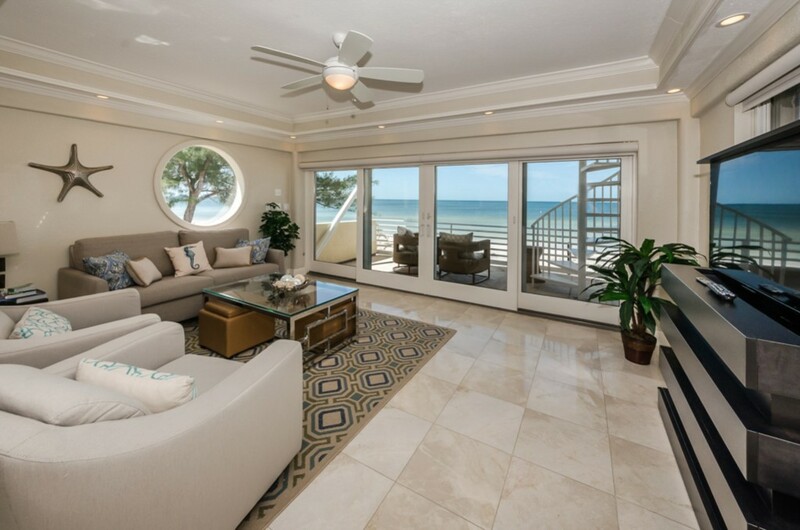 Gulf views can be taken in from the entirety of the open living area in the gulf front residence. 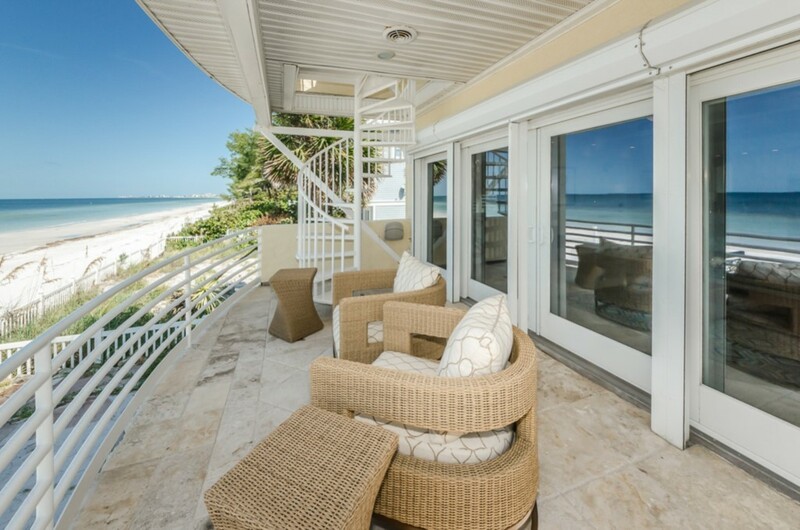 One of the many highlights this vacation rental has is the roof top deck. 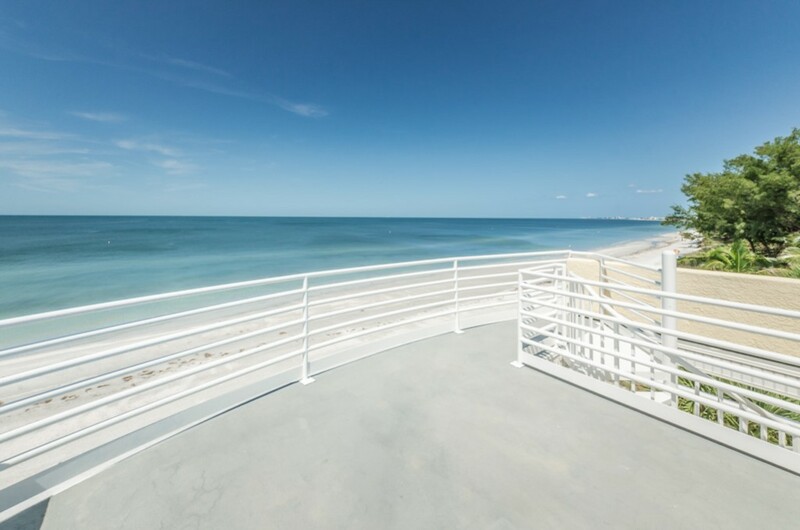 The top upper level deck offers breathtaking panoramic views of Treasure Island & the Gulf of Mexico. 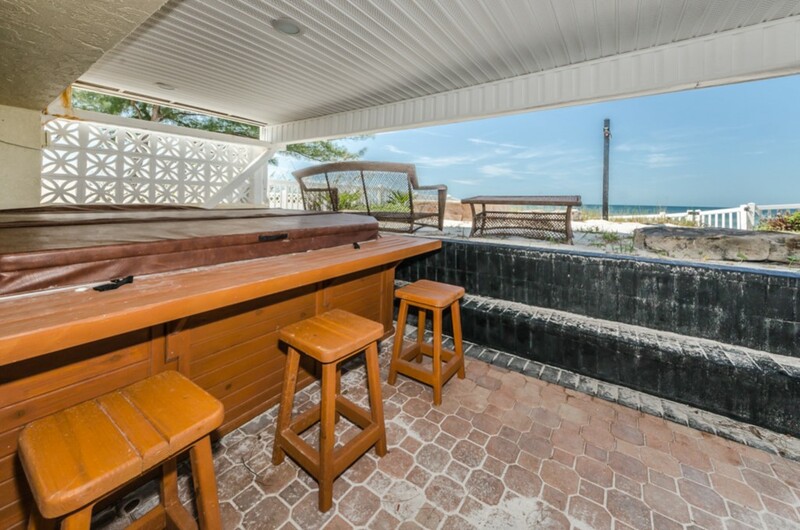 An added bonus is the hot tub facing the beach on the first level. 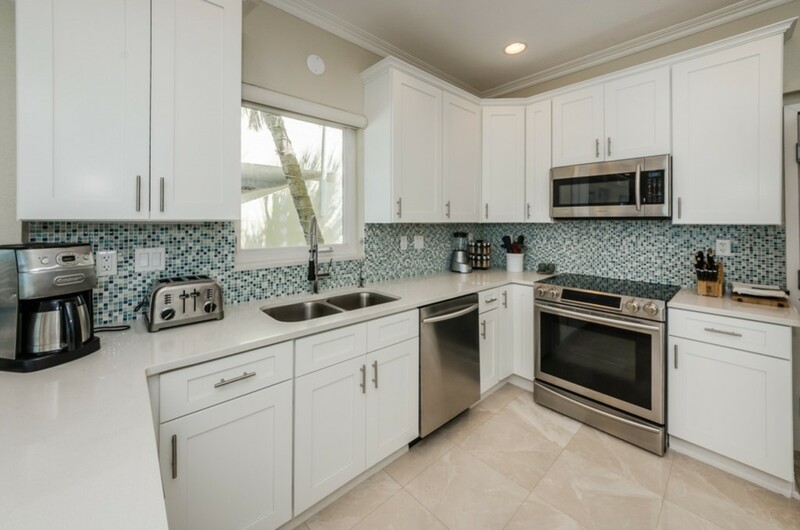 This is a perfect property for families traveling together, large groups, etc as there is plenty of space and areas for everyone to spread out. AH SIDO UNA HERMOSA EXPERIENCIA. UNA CASA CÓMODA, CON MUEBLES NUEVOS, CON TODOS LO NECESARIO PARA DISFRUTAR, MUY BIEN UBICADA. eL TRATO DE QUIENES LA ADMINISTRAN FUE MARAVILLOSO. VOLVERÍA SIN LUGAR A DUDAS. FUE UN PLACER. 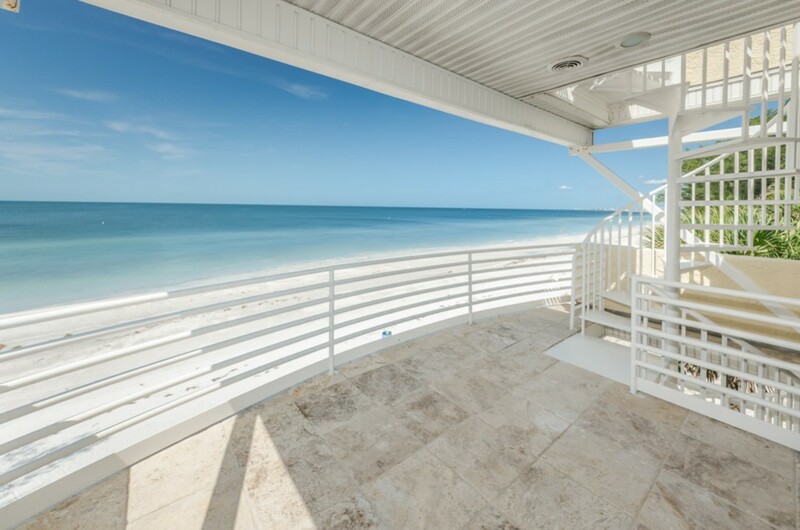 Amazing beach house.. Beautiful inside and an amazing view of the sand and water. 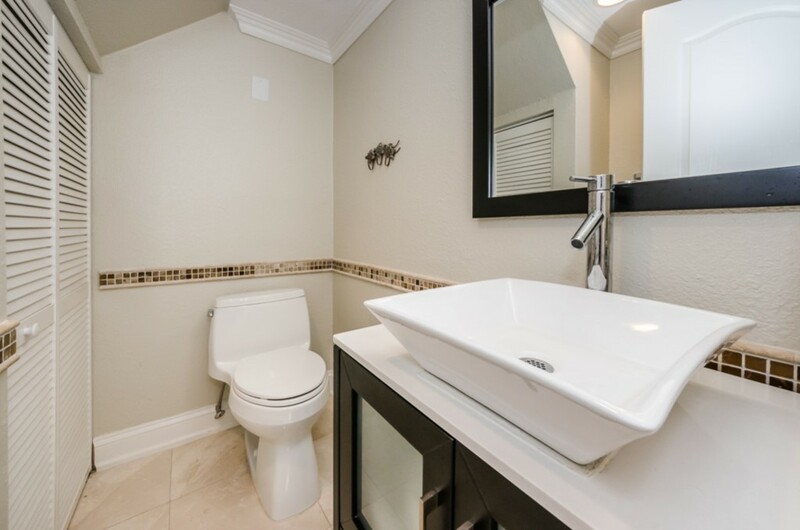 Impressed on the cleanliness of the house. We didn't get to use the fire pit, which was a bummer but no complaints. 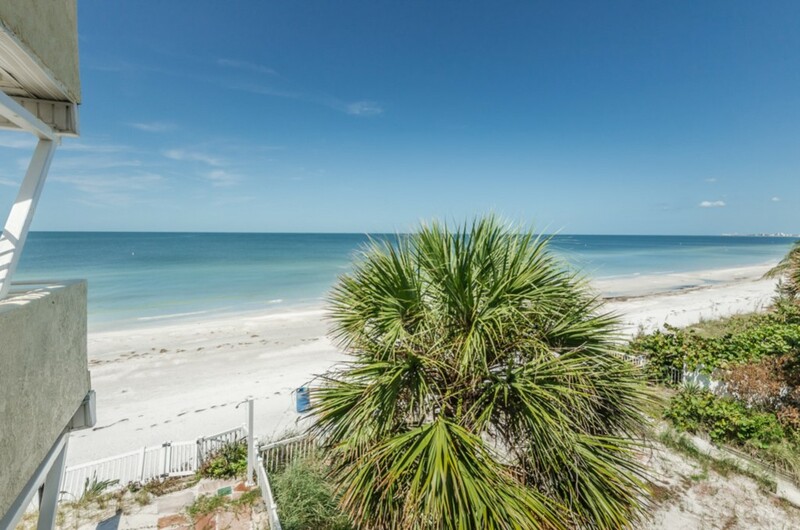 Recommend this for families that want more privacy on the beach. 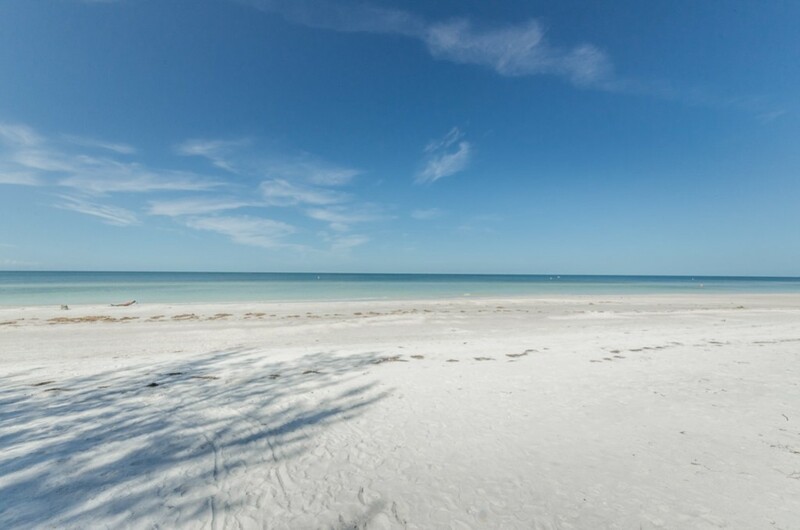 Was not crowded. 3 families stayed together...worked perfect.